Educommunity is a professional non profit association of teachers and trainers working in schools and Universities, aiming to support the improvement and development of their professional skills. Educommunity is born as an initiative of a group of teachers and experts with a consolidated experience gained in lifelong learning in academic, educational, training and enterprise contexts. In the knowledge society the opportunities for improvement and personal and professional growth are often associated with problematic situations with a heavy load of responsibility and uncertainty. Where traditional strategies and established repertoire of responses fail to address the challenge in knowledge and learning, teachers, trainers and schools need to identify more effective intervention approaches and tools. In-service training courses tend to fail because they are considered an obligation rather than an opportunity for growth, and because they not allow the acquisition of valued skills. In educommunity we want to enhance informal learning experienced every day by teachers and trainers, giving it a scientific value and turning it into operational models to support good practice. Peer to peer tutorship and group work can help facing disengagement, demotivation, weaknesses of interest by the students, yet collaborative learning attitude is the result of training: it is an increasing interaction process that must be guided, clearly assigning roles and tasks, timeframe and goals. The course presents collaborative learning models, strategies and practices; defines the competencies of the teacher for collaborative work; makes learners acquire the skills for evaluation, self evaluation, scaffolding, community building, use of technologies, communication tools, interaction strategies. 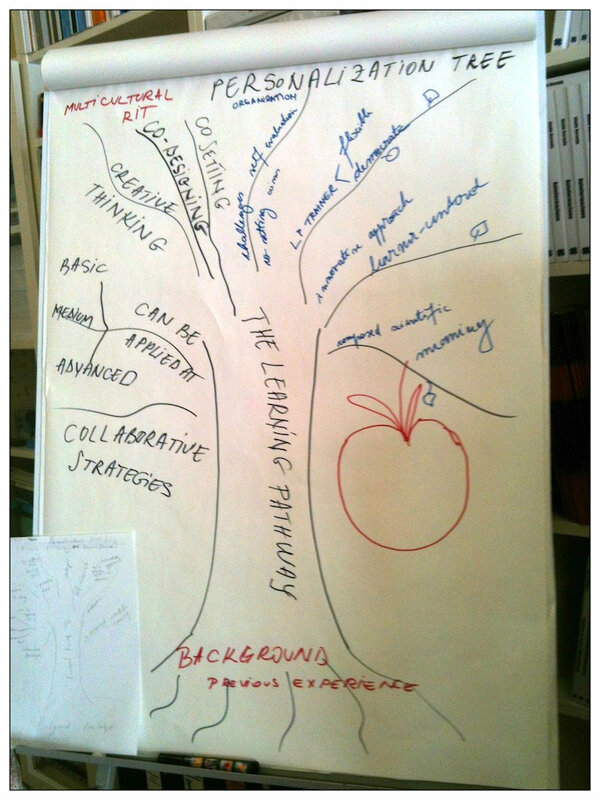 But first of all this course provides teachers with strategies and tools empowering their teaching competences to guide students to improve their collaborative attitude moving from the cooperative interaction to the share mind frame. Participants will be actively involved in guided activities experiencing the proposed strategies and tools, to apply different and increasing levels of collaborative learning set in classroom. The course will use minimized lectures, online workshops, guided discussions and group work. At the end of each day there will be a moment of individual self-assessment, at the end of the course there will be a session for collective evaluation and peer review. The methodology adopted is that of Learning personalization. After the course participants will have the opportunity to continue to interact in the online space of social networks used for the course activities, creating a community of practice where to share ideas, practices, solutions. Activities start each day at 10.00 AM and ends at 13.00 PM in the Learning Community headquarter. 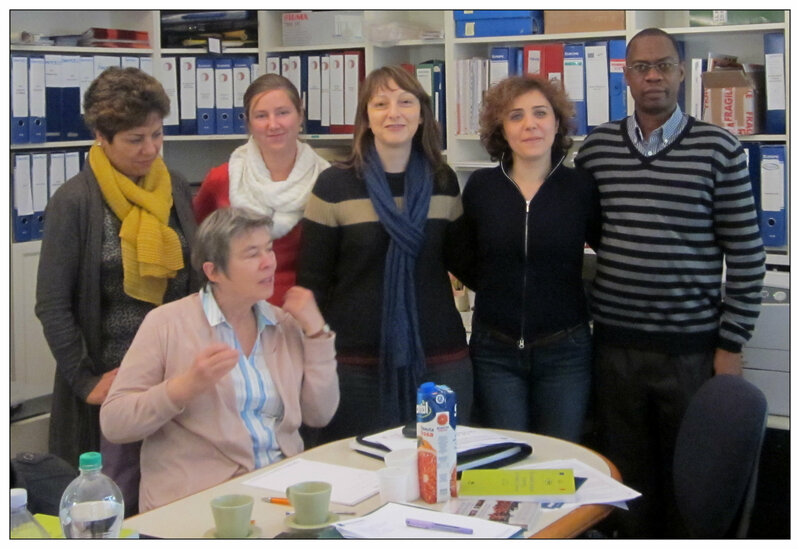 Day 1 – Presentation of the course, the staff and the participants. Topics: Cooperation and collaboration. The group setting. Communication and interaction in the group. Collaborative learning models, strategies and practices. Exercises and debates. Day 2. Topics: The role of the teacher. Competences for collaboration. How to evaluate the owned competences: examples of practices and tools. Exercises and debates. Day 3. Topics: From group to community: the different typologies of communities. Internal dynamics of communities and steps of development. Exercises and debates. Day 4. Topics: Technologies for collaborative learning. The Computer Mediated Communication (CMC). Synchronous and asynchronous interaction tools. Exercises and debates. Day 5. Assessment and evaluation. Self assessment and group assessment session. End of the course and delivery of certificates of attendance. The course is delivered in English. Participants must have a linguistic level not lower than the level B1 of the CEFR. A basic competence in technology (use of the computer, of the Internet and of the main applications) is required. Activities and contents may vary depending on the number of participants and their linguistic and technological level. Courses will be activated with a minimum number of 1 participant. Max 10 participants. A foresight study on “The Future of Learning” sees in personalisation, collaboration and informalisation (informal learning) the core of learning in the future. Furthermore the improvement of the guidance, training and orienting systems in terms of learning and orienting personalization as well as the stronger focus on the active engagement and motivational aspects are recognized as decisive to contrast NEET and early school leaving phenomena. But how to personalize a learning experience when you deal with a wide group of students? This course introduces the basic concepts of learning personalization to design and manage learning personalized experiences also in collective action frames. But first of all the course guides teachers to empower their teaching competences to face disengagement, demotivation, weaknesses of interest by the students, applying models, strategies, and tools of learning personalization in classroom. Participants will be actively involved in guided activities experiencing the proposed strategies and tools, including self-evaluation activities, narrative and biographical approach, collaborative work strategies, learning agreement pedagogy, to apply different and increasing levels of learning personalization in classroom. During the course participants will use minimized lectures, workshops, guided discussions and group work. At the end of each day there will be a moment of individual self-assessment, at the end of the course there will be a session for collective evaluation and peer review. The methodology adopted is that of Learning personalization. Day 1. Presentation of the course, the staff and the participants. Learning personalization meanings and the profile of the learning personalization trainer. Self evaluation activity. Day 2. Applying strategies and tools to personalize learning experiences: guided activity. Day 3. Learning personalization guidelines: increasing levels of learning personalization. Project work. Evaluation and self evaluation applied to personalised learning pathways. Guided activity. Day 5. Course assessment and learning evaluation. End of the course and delivery of certificates. 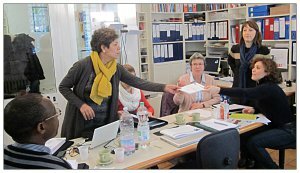 The objective of the course is to present the italian practices and systems of self-evaluation and make experience of an italian practice: the @ model of self-evaluation. The @ model is an innovative approach of personalised, collective, self evaluation and self learning, fit with the specific features of adult people. It is a framework that can be valorised within orientiering and guidance counseling both for training and for employment. Before the beginning of the training activity, the following materials will be sent by mail to the participants: a presentation of Educommunity and trainers staff, the learning agreement, a brief description and slides of the @ model, the guidelines for the implementation of the @ model and the training programme. A reserved web-space will allow trainers and participants to meet and interact also before the first face to face section. The participants will learn the @ model experiencing it on themselves. They will work according to a collaborative approach in order to produce materials useful for the reflection in action about the training experience. This process, inspired to a personalized self learning approach, will allow participants to self-evaluate their map of knowledge competences in a comparative and reflexive way. The course is structured including exercises, simulation, workshops and project works with the aim of applying the @ model. During the final section, the whole @ process will be retraced in order to strengthen the group awareness of the experienced (continuos, internal and external, individual and collective) @ of self-evaluation activity. The self evaluation results will be made evident through an evaluation questionnaire. At the end of the course the web learning space, already used from the very beginning of the training activity, will be available in order to allow participants to continue the sharing at a distance of their reflections on the training exeprience and/or about the eventual applications of the model to their own context. Day 1. Presentation of the Agenda and of the participants. Debate about the proposed activity and ratification of the formative pact. Setting up of work-groups and start up of the @ process: first @ step “Focus-brainstorming”. Workshop: comparison of the outputs. Participants compare this first experience with the self-evaluation practices adopted in their Countries. Day 2. The groups are invited to find the best elements of each realized product in order to merge them and create an ideal type. This latter will be collectively tested by each group. Participants are invited to search and identify similar examples to be compared with their output proposals. Web space will be available to allow participants on-line research. The results are discussed and compared. Day 3. Participants select, among the found examples, which they consider good practices. Participants explicate and discuss the evaluation criteria they have used. Trainers guide the groups to integrate the elements carried out in order to create a common sense of evaluation and to use it to perfect the realised products. Day 4. Participants identify the best elements of each realized product and highlight the best practices that could be applied to their operative contexts. Formalization of the final version of the products that can be uploaded in the web space of the course. Day 5. The whole @ process is retraced: the trainer presents all the steps of the @ process and guide partipants to consider the change in their level of awareness of knowledge and self-evaluation practices. This is the last step of @: strengthen the collectively awareness of the self-evaluation process that they have experienced. Final evaluation questionnaire. Discussion about questionnaire’s results.